Bianca’s new Heston Sheet Sets are your ticket to superb sleeping comfort, night after night. 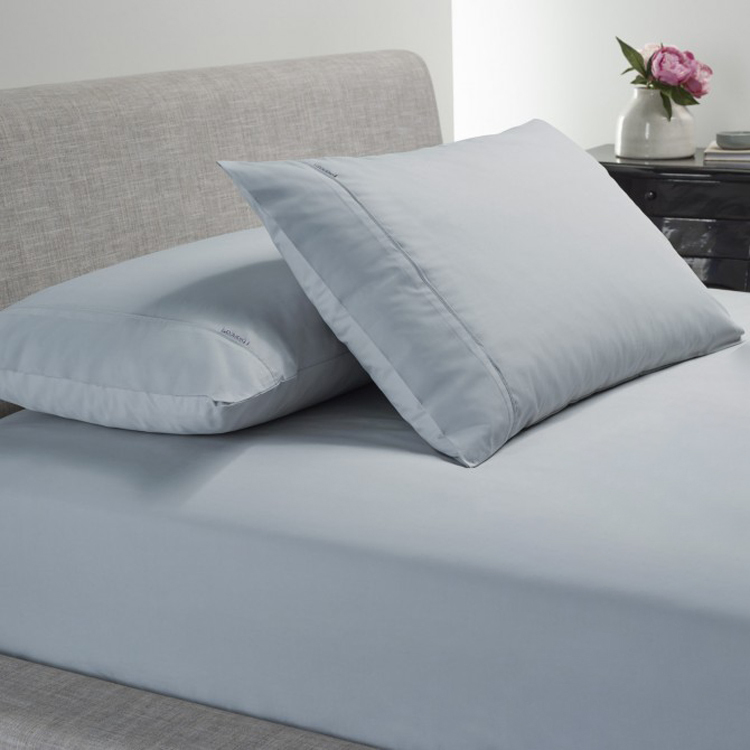 Available in a wide range of sizes from single through to super king, each set is expertly crafted from fine cotton with an impressive 300 thread count, while the percale weave construction ensures that these sheets are not just soft against your skin, but will last for many years to come. Pillowcases features a cuffed and piped trim. Line dry or warm iron if desired. Presented as a set of three in a Bianca clear storage case. Fitted Sheet – 193cm (l) x 40cm (h) x 137cm (w). 2 x Pillowcases – 74cm (l) x 48cm (w).